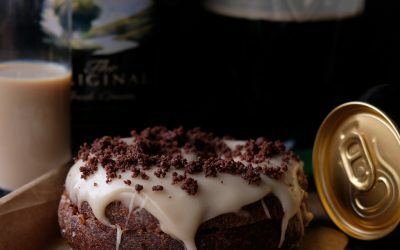 To celebrate, we’ve teamed up with the guys at Guinness to collaborate on a doughnut, deliciously inspired by the world famous stout. We set ourselves the task to bring all the great flavours of Guinness to life in this scrumptious collaboration – a dark Guinness and chocolate sourdough base, a Guinness and chocolate custard filling and a smooth glaze with Guinness chocolate shavings on top. 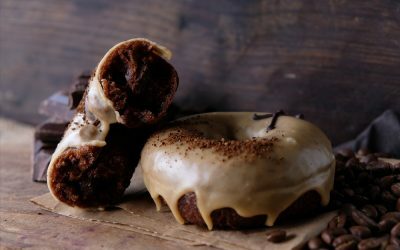 Not for the faint-hearted – it’s the impressive balance of sweetness from the chocolate and distinctive bitterness from the stout which makes for a doughnut that’s as rich and creamy as the pint itself. Enjoy Guinness Responsibly. Visit drinkaware.co.uk for the facts.